The Department offers a nationally recognized graduate training program. Formal training in pharmacology dates back to the late 1800's and 200 Ph.D.s have been awarded since 1931. In addition, over 100 M.S. degrees have been conferred. 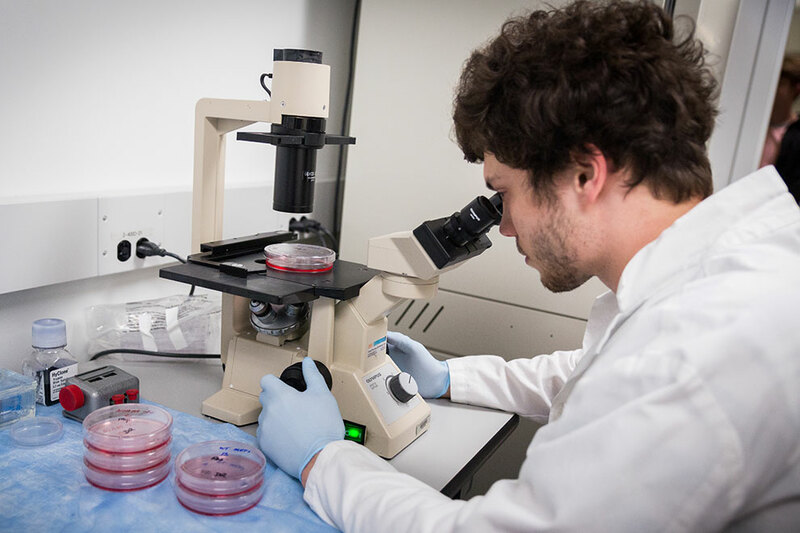 The Department is a leader in graduate training in pharmacology, and students have an outstanding track record of earning extramural funding and research publication. Graduates of the Department have gone on to distinguished careers in academia, industry, and government. Key strengths of our Department are that we offer a growing family of energetic faculty who are well funded and have a broad range of research interests. The graduate program provides research opportunities for highly qualified, motivated students in cellular and molecular pharmacology, integrative cardiovascular and autonomic pharmacology, cellular and integrative neuropharmacology as well as cancer pharmacology. Research is conducted in laboratories of independent, creative and productive faculty members whose work is published in highly respected, peer-reviewed journals. Important components to the graduate training program are the active seminar program which brings outstanding scientists from around the world to the Department as well as weekly journal clubs, directed by members of the faculty, which enable students and faculty to discuss and critique the latest results from the scientific literature in pharmacology.